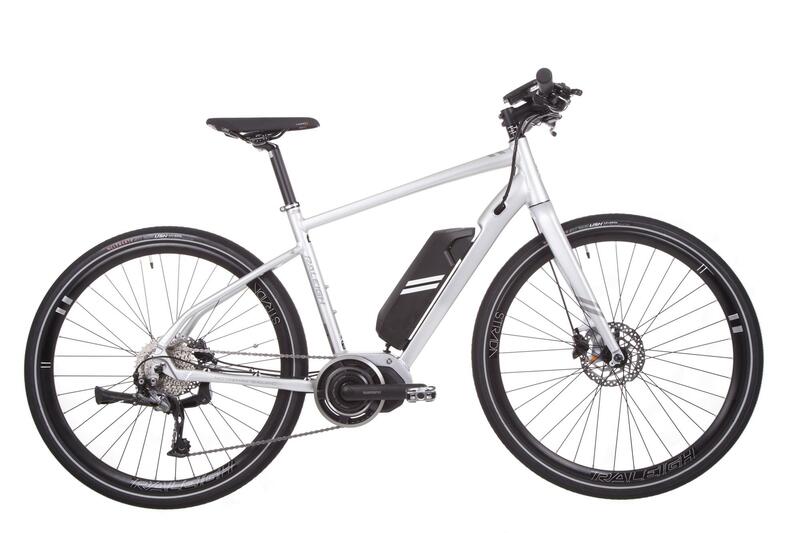 The new Strada Electric models introduce the 650B gravel-friendly rim size, coupled with deeper, wider tyres suited to the bumps, lumps and potholes on some of our roads. The updated Strada range also introduces a new, lighter 6061 aluminium frame with the size of the rear triangle reduced for stiffness and the chainstay shortened; Raleigh say the updated models are now more responsive and agile. The Shimano E6000 centre-mount drive system delivers up to 50Nm of torque, with the 400Wh downtube battery fully charging in four hours. Shimano hydraulic disc brakes supply the stopping power, while carbon blade forks improve shock absorption. 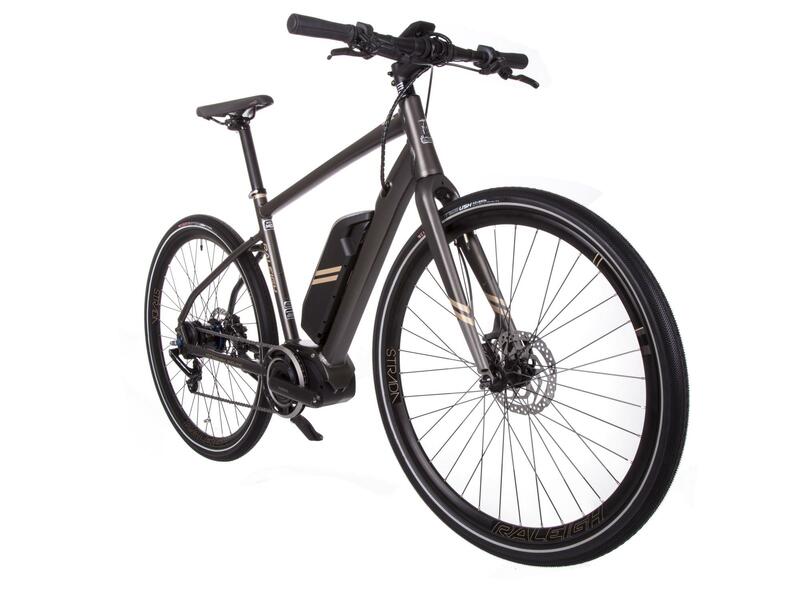 The Strada Comp Electric (19.9Kg) features automatic shifting with the Shimano Alfine Di2 electronic hub gear, comes in metallic gunmetal grey with rose gold detailing and retails for £2500. The slightly lighter Strada Elite Electric (19.3Kg) uses the 1×9 Shimano Alivio derailleur gearing system and is available in silver and blue colours; it retails for £2250.